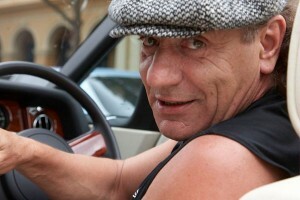 AC/DC lead singer Brian Johnson has cracked the 2011 Sunday Times Rich List of the UK’s most wealthiest musicians. Making his debut appearance on the list, the AC/DC frontman is estimated to be worth £50m (around $82.1m). AC/DC recently wrapped up the Black Ice World Tour – the third highest grossing concert tour of all time – pulling in an estimated $441.6m. Read who else made the list here. Get all the latest AC/DC news here at ACDCfans.net – join us in the AC/DC forum, follow us on twitter and facebook or subscribe to our AC/DC news feed.